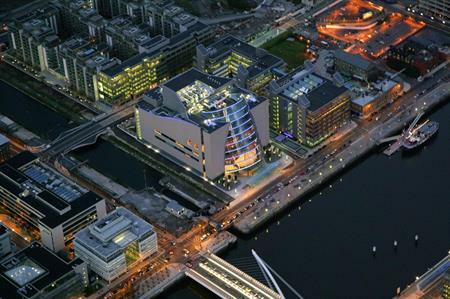 The Convention Centre Dublin (CCD) has been selected to host the 9th Europaediatrics Congress in 2019. The four-day conference is expected to attract around 3,000 general paediatricians and paediatric subspecialists from across the globe, generating revenue in excess of €4.5m for the local economy. The bid was secured by the Faculty of Paediatrics of the Royal College of Physicians of Ireland (RCPI) and is the latest in a series of paediatric conferences to be held at The CCD in recent years including the 53rd Annual European Society for Paediatric Endocrinology Meeting and the European Paediatric Surgeons Association (EUPSA) Congress. Prof Hilary Hoey, immediate past dean of the Faculty of Paediatrics and director of professional competence, RCPI said: "Ireland is to the forefront of paediatric clinical care, education and research. "Hosting the Europaediatrics conference by the Faculty of Paediatrics of the RCPI in the outstanding CCD will provide a unique opportunity for health care professionals working in child health from all over the world to participate, learn new inspiring information relating to prevention of childhood illness and where prevention is not possible the latest therapeutic innovations as well as make contacts, friends and socialise." The Europaediatrics Congress takes place every two years and is the flagship event of the European Paediatric Association, the Union of National European Paediatric Societies and Associations.